Our naturopathic doctor uses IV catheters and not a butterfly winged infusion needle which requires less training and technical skill and leaves a metal needle in your arm for the entire IV which can then 'infiltrate' and make your arm swell and hurt. IV catheters cost more and require more skill to insert and are more safe and comfortable for the patient. We rarely have to resort to putting an IV in the elbow area which makes the patient uncomfortable. EDTA is an approved treatment for treating heavy metal toxicity; especially lead. Undoubtedly, the diverse benefits of EDTA chelation therapy are related to the removal of both heavy metals, misplaced iron and copper. These unwanted metals poison the function of enzymes in the body and promote oxygen free radical damage. 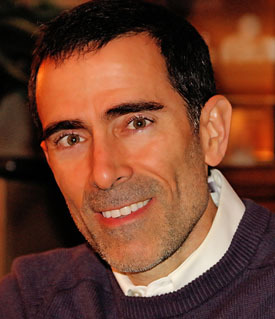 Dr. Adrian delivered his first EDTA chelation therapy treatment in 1996. He immediately saw benefits in a patient suffering from angina. 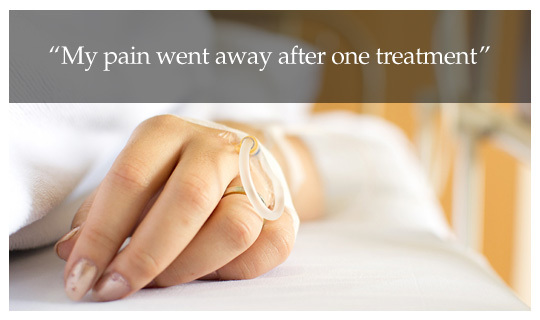 The patient's pain improved with each successive treatment. After 14 treatments, he was pain free. There are many claims made regarding the multitude of diseases and complaints that are helped by EDTA chelation therapy. Dr. Hohenwarter has seen each and every one of these miraculous resolutions since 1996. While not every patient will be a complete success, in his experience, dramatic successes are common. Most patients visibly look younger, experience more stamina and energy and see their disease symptoms disappear. Dr. Adrian personally starts his IV's and is known as the best at starting IV's; often with no pain at all. He as chelated tens of thousands of patients. EDTA chelation therapy is best performed by a family medical doctor with years of experience in its use. This website will not attempt to cover this topic in depth. Instead we direct you to these sources to learn more. www.drcranton.com to read Dr. Elmer Cranton MD (a Harvard Medical Graduate) and his book "Bypassing Bypass". 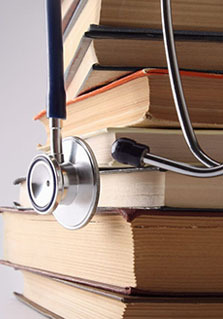 Other books include "40 something forever", and "Questions from the Heart" by Dr. Terry Chappell MD. For videos on Chelation Therapy visit DrCranton.com. History of EDTA Chelation Therapy powerpoint - by Schachter Center for Complementary Medicine. The FDA does not allow specific claims to be made. The primary approved use for EDTA is heavy metal detoxification, including lead poisoning, EDTA will bind heavy metals (cadmium, lead, aluminum) and excess iron and remove them through the urine. The treatment is very well tolerated. It is a 3 hour IV. Patients come either early morning or afternoon. Patients are prescribed between 20 and 40 treatments weekly the first year and then once per month to maintain benefits. Often times, benefits are seen after the first IV. Our office has a home theater with DTS surround sound and comfy recliners. You may also just sit and listen to 5 channel stereo, sleep or read. Many patients make lifetime friends in our office as we attract like-minded patients. Other forms of EDTA chelation therapy include the heavy metal (especially mercury) chelators: DMSA and DMPS. We focus on the use of DMSA and not the DMPS due to FDA attacks on this medicine. DMSA, unlike DMPS, crosses the blood brain barrier. This review article on heavy metals and chelation therapy is a breath of fresh air and an example of how the Canadian government?s socialized health care system is fertile soil for good science not contaminated by the capitalistic financial ambitions of both Big Pharma and the healthcare industry. The Relevance of Iron in the Pathogenesis of Multiple System Atrophy: A Viewpoint. The idea of the Myers Cocktail is that many illnesses and conditions are associated with gastrointestinal disturbances such as bloating, maldigestion and food sensitivities and that people with such conditions may not absorb many of the nutrients needed to return them to good health. 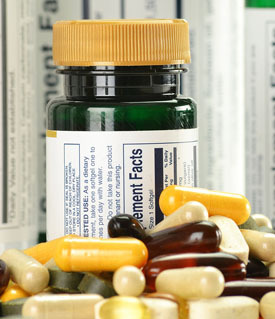 Also, many diseases cause the body to use nutrients at a faster rate, or to require higher amounts for proper healing. When nutrients are injected intravenously, the digestion is bypassed. Furthermore, the levels in the bloodstream are temporarily increased so that the nutrients are "coaxed" into the cells, and frequently into the mitochondria where they are active. This temporary boost frequently "kick-starts" the cells, so that energy is produced more efficiently in them. Many chronic conditions respond to a series of Myers Cocktails. In my experience, they are useful in fibromyalgia, chronic fatigue syndrome, and chronic depression, where patients feel an energy boost lasting days or weeks. In the case of fibromyalgia, decreased pain can be observed. In other chronic conditions such as rheumatoid arthritis and ulcerative colitis, there is electron microscope evidence that the gut "leaks" nutrients, and the injections help get necessary nutrients into the cells. Chronic asthma and other lung disease, congestive heart failure, and chronic allergic problems can respond with more energy and less symptoms. Patients who get sick constantly with infections may find an increased immune response, with less susceptibility to in acute situations such as viral illnesses. Vitamin C, also known as ascorbic acid, is a water-soluble vitamin. Unlike most mammals and other animals, humans do not have the ability to make their own vitamin C. Therefore, we must obtain vitamin C through our diet. Vitamin C is a highly effective antioxidant. Even in small amounts, vitamin C can protect indispensable molecules in the body, such as carbohydrates, proteins, lipids (fats), and nucleic acids (DNA and RNA) from damage by free radicals and ROS (reactive oxygen species) that can be generated during normal metabolism as well as through exposure to toxins (e.g., cigarette smoke). Vitamin C may also be able to regenerate other antioxidants such as vitamin E.
Vitamin C is required for the synthesis of collagen, an important structural component of blood vessels, tendons, ligaments, and bone. Healthy collagen is a sign of youth and maintains vibrant skin. Vitamin C also plays an important role in the synthesis of the neurotransmitter, norepinephrine. Neurotransmitters are the nervous systems messengers and affect mood. In addition, vitamin C is required for the synthesis of carnitine, a small molecule that is essential for the transport of fat into mitochondria, where the fat is converted to energy. Research also suggests that vitamin C is involved in the metabolism of cholesterol to bile acids, which may have beneficial effects on blood cholesterol levels and the incidence of gallstones. Vitamin C's absorption from the intestinal tract is limited with diarrhea resulting from exceeding this bowel limit. Intravenous ascorbate is a drug as blood and tissue levels are attained many times above oral dosing. Vitamin C is broken down (metabolized) via several steps into hydrogen peroxide. IV vitamin C doses achieve higher levels of hydrogen peroxide which is the compound responsible for targeted neoplastic cell death and antimicrobial effects while leaving normal cells unharmed. Google the research by Dr. Mark A. Levine MD of the NIH and Dr. Jeanne A. Drisko of University of Kansas. IV Vitamin C and Rheumatoid, Arthritis, Pain relief. Intravenous Vitamin C and Cancer: A Systematic Review. Glutathione has become increasingly popular thanks to the work of Dr. David Perlmutter, a neurologist who has had great success treating Parkinson's disease. Glutathione (GSH) is a tripeptide meaning it contains 3 amino acids including cysteine. The supplement NAC supplements cysteine and increases glutathione. It is an antioxidant and prevents cellular damage from ROS (reactive oxygen species) such as free radicals and peroxides. Glutathione also maintains other antioxidants, including vitamins C and E, in their active or reduced forms. It is vital for the proper synthesis and repair of DNA, and numerous other critical biochemical pathways affecting every system of the body including the nervous and immune systems and liver function. Glutathione improves the liver's ability to remove countless toxins including heavy metals. Considering its central and multifaceted role in biology, it is no wonder that most every health condition can be improved by this compound. Unfortunately, glutathione is poorly if at all absorbed through the GI tract making IV glutathione administration the only way to effectively raise glutathione levels to disease reversing levels. Regular consumption of Brassica family vegetables which are high in cysteine and supplementation with NAC and lipoic acid can elevate GSH. In our office, we have witnessed many patients enjoy an improvement in Parkinson's symptoms including less tremor, less rigidity and more functionality. We offer IV glutathione as an additional small bag tagged onto the end of IV vitamin C or EDTA chelation therapy. The glutathione defense system in the pathogenesis of rheumatoid arthritis. Glutathione Shots Reverse Vocal Cord Polyps—Quickly! 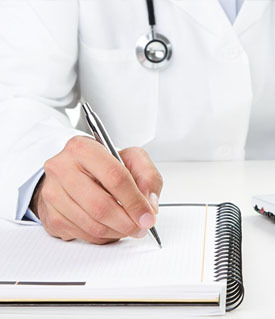 Our IV therapy patients come to our disease prevention doctor from Annville, Chambersburg, Hummelstown, Lancaster, Palmyra, Reading, Harrisburg, Hershey, York and Elizabethtown, PA.